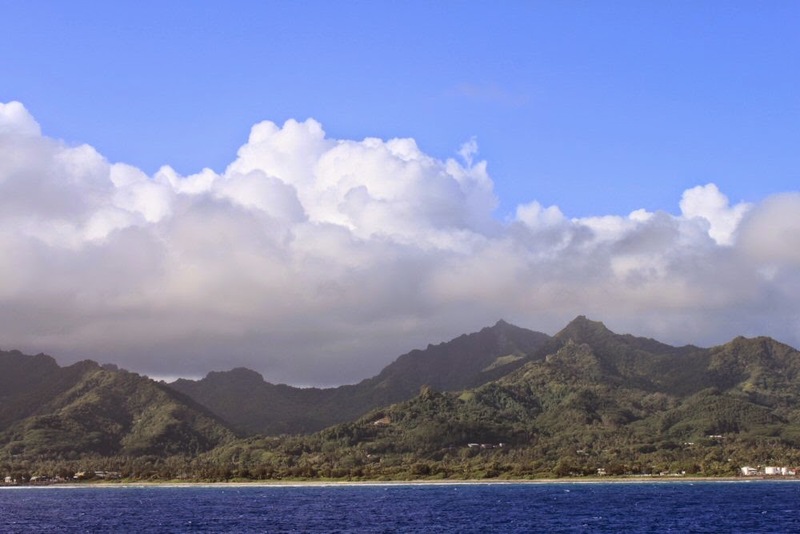 After a day at sea, we were ready for land again especially in the light of three more sea days ahead after Rarotonga. The concierge on the ship had printed up a list of four hotels where you could go to enjoy the beach and their property for the cost of a day pass. It sounded wonderful. Sand, sun, and water and a place to change clothes and shower off. While we had lucked out with tender landings in Easter Island and Bora Bora, the wind and the swells were too great to safely put tenders down and get into shore. So, we awoke to a lovely green island before us with white sandy beaches that we could see from the ship and no chance of getting there. It was Valentine’s Day! This was like setting up the chocolate fountain in the Bistro and telling us we could only look, not touch. Dateline when we cross it. So, out of 20 days we will have spent fifteen at sea if we don’t stop at one of the islands in New Zealand. I’m not complaining. It’s hard not to have a good time on the ship as well as off. By the way, that dateline thing is playing havoc with the new itinerary. You see on the original itinerary before we set sail the website said there would be no February 17. Then when we got on the ship, the itinerary said there would be no February 18 which eliminated Ash Wednesday. That meant that those who observe Ash Wednesday would have to do it on Tuesday because crossing the dateline would eliminate Wednesday. 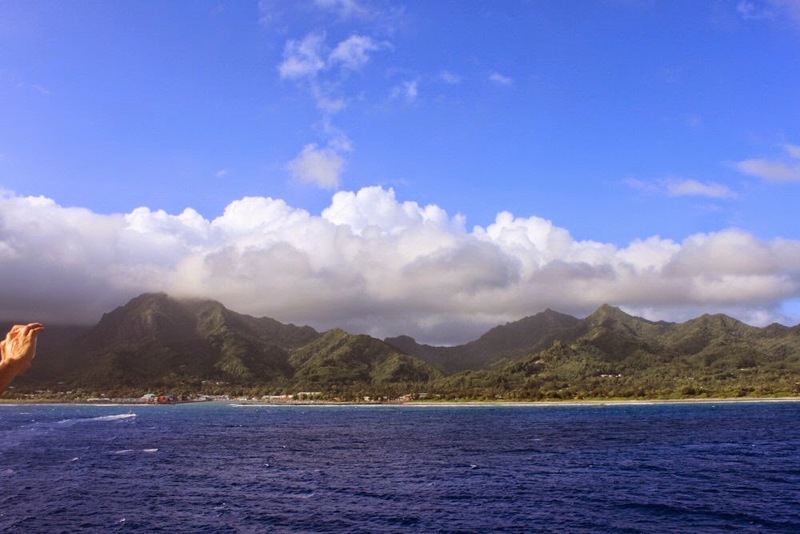 Then came Rarotonga and a new itinerary which put Wednesday back but eliminated Tuesday. Hopefully by now we will all know what the day is as well as the date.